Narnia's William Moseley All Grown Up In Latest Movie "Carrie Pilby"
Starring opposite Bel Powley who takes on the titular role “Carrie Pilby,” Moseley plays Cy, Carrie’s neighbour and match to her intellectual ability. Carrie is a 19-year old genius, a year out of Harvard, four years ahead of her peers, living in New York City. Burdened with an overactive moral compass and self-consciously aware of her uncommon intellect, in a city full of people she considers oversexed, deceitful hypocrites, Carrie finds herself isolated, friendless, dateless and unemployed. To coax Carrie out of her shell, her psychiatrist, Dr. Petrov (Nathan Lane), makes a list of goals she is to achieve between Thanksgiving and the end of the year: 1. Go on a date. 2. Make a friend. 3. Spend New Year’s Eve with someone. 4. Get a pet. 5. Do something you loved as a child. 6. Read favorite book. At first Carrie resists, but when her goal-oriented prodigy brain kicks in, she embraces the task with a vengeance. She has the time, anyway. Her father, (Gabriel Byrne), who has always joined her for the holidays in New York, isn’t coming this year. As she tackles each item on the list, Carrie begins to make new friends: Tara (Vanessa Bayer) and Doug (Desmin Borges) at the law office where she works the graveyard shift proofreading legal briefs in a job reluctantly arranged by her dad; Cy (William Moseley), her didgeridoo-playing neighbor who, like Carrie, is also a prodigy; and the confused, engaged Matt (Jason Ritter), who thinks he might find clarity about his pending nuptials in the arms of another woman. As Carrie gets to know them, she learns that they are not one-dimensional stereotypes but living, breathing, complex human beings. Carrie begins to understand that humans, like books, can’t be judged by their “covers”. 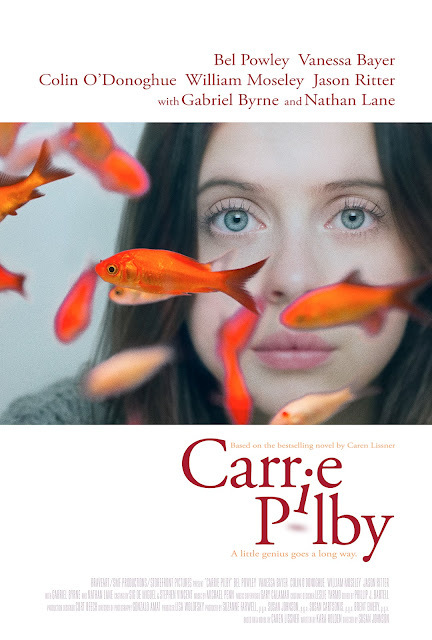 “Carrie Pilby” opens March 28 in cinemas from Pioneer Films.